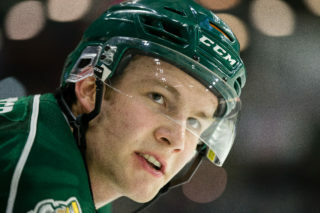 EVERETT – With one goal in each period and a shutout from goaltender Austin Lotz, the Everett Silvertips skated to a 3-0 victory over the Edmonton Oil Kings Saturday night at XFINITY Arena. The ‘Tips are now 10-1-2-1 on the season and carry a four-game winning streak into Wednesday’s game against the visiting Red Deer Rebels. Lotz (8-1-1-1) turned away all 21 shots he faced to earn his seventh career shutout. Cole MacDonald scored his fifth goal of the season and picked up an assist on his way to first star honors. Ivan Nikolishin and Remi Laurencelle netted the other two Everett goals and Kevin Davis had two assists. 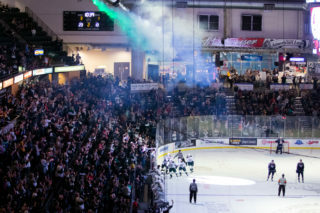 The WHL’s least penalized team was not charged with any penalty minutes in the contest – a first in franchise history. The Silvertips got off to good start and outshot Edmonton 13-7 in the opening 20 minutes. Late in the first period, Carson Stadnyk broke down the left boards and fired a shot that was kicked out by goaltender Tristen Jarry, but Ivan Nikolishin drove the net and tucked in the rebound to make it 1-0. The ‘Tips got their third powerplay of the night midway through the second period and netted a powerplay goal for the 13th consecutive game as Remi Laurencelle deflected in a low shot by Kevin Davis to put Everett up by two. Everett gave up just six shots in the second period and 2-0 after two. Edmonton started the third with two quick shots that were stopped by Lotz right before the Silvertips went up 3-0. Nikita Scherbak set up Cole MacDonald for a long shot from the blue line that snuck through traffic and into the top corner just 57 seconds into the period. 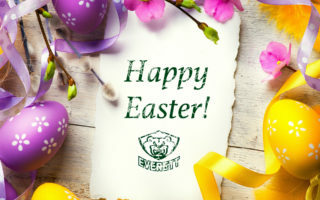 Everett held the lead for the remainder of the final frame to take the win and finish with a 31-21 advantage in shots. Edmonton goaltender Tristan Jarry (7-4-0-2) stopped 28 of 31 in net for the visitors. 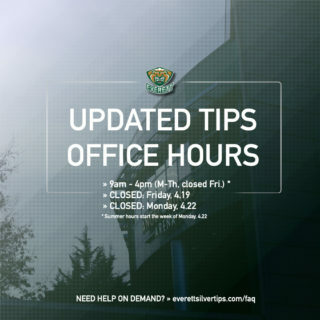 The Silvertips finished 1 for 4 on the powerplay and did not give an opportunity to the Oil Kings. 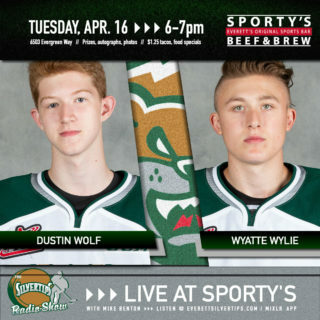 The Silvertips are back on home ice Wednesday night to face another Central Division club as Tyler Sandhu and the Red Deer Rebels come to town for a 7:05 pm opening puck drop. Join us for our second “Midweek Madness” game featuring buy-one-get-one lower-level tickets, $5 draft beers and great food & Team Store specials all game long.